The biggest game in Irish American Football is nearly upon us. This Sunday, two of the countries best teams will compete for the Shamrock Bowl at Tallaght Stadium, Dublin to be crowned the 2014 National Champions. Who will prevail? The reigning and defending Champions, The Belfast Trojans will be heading to Dublin to take on Trinity College Dublin in a battle that will determine who leaves with the coveted Waterford Crystal Bowl in their hands. These two sides have built a competitive rivalry over the last two seasons, with the Trojans defeating the students in the Atlantic Cup Final last term, and with Trinity defeating Belfast earlier in the season. Over the course of the year, these sides have proved they deserve their place in the final, but ultimately, only one team can be crowned champions! 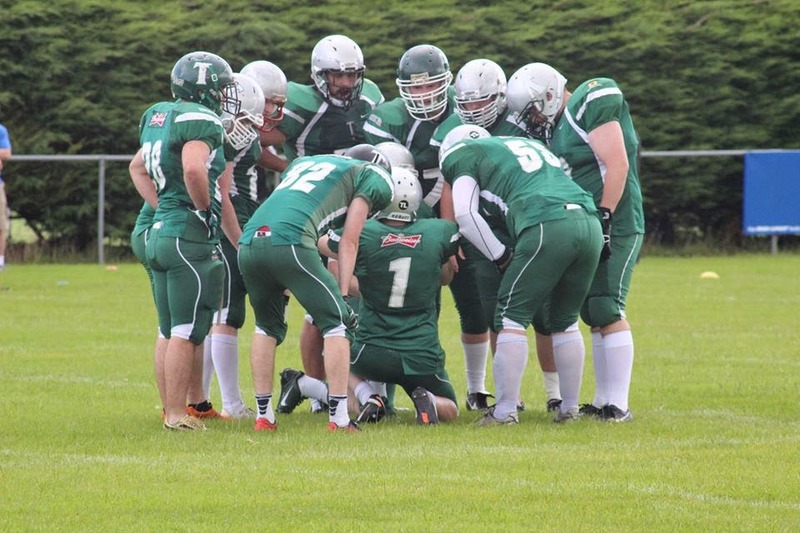 QB James McKelvey will be looking to get his players fired up for the final and with key weapons Dave Colvin and David Richardson back having missed the last encounter, the Trojans will be extremely strong on offence. With the mix of experience and young blood on the offensive line that have been very impressive in their first year, coupled with the variety of aerial and rushing threats, the offence has plenty of fire power heading into the final. Intensity, desire, commitment; there’s no shortage of words to describe the leagues best defence. With numerous shutouts, interceptions and defensive scores this term, the Trojans ‘D’ are a threat all over the field. Their defensive line is disruptive, their linebackers are hard-hitting and with their ball-hawking secondary, the defence has all the ingredients to stop a rampaging Trinity offence. Trinity’s offence has been dominating teams all season. 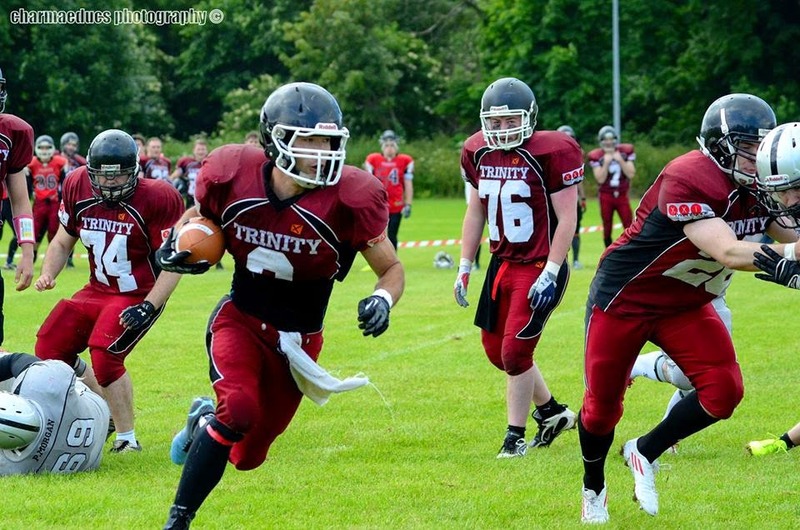 Finnamore topped the passing charts in his first season in Trinity colours, and Rob McDowell reminded the league why he is the top running back in the league. The young, yet disciplined offensive-line has been excellent, providing Finnamore with time in the pocket to pick out his array of receivers. Trinity has been scoring points for fun this term, and it will take a lot to stop them this Sunday. The limelight that has shone on the offence this year has somewhat overshadowed Trinity’s efforts on defence; but they have been equally as impressive. They have conceded no more that 78 points all season, backing up their offence with a defence that can stop some of the best teams in the league. They will have a huge task in stopping the Trojan’s ‘O’ from scoring, but their talent across the field is capable of matching anybody on their day. Shamrock Bowl XXVIII sets the stage for the best two teams in Ireland, when either the Belfast Trojans or Trinity College Dublin will walk out National Champions. This game has got the makings to be something special; its First versus Second, South Division Champions versus North Division Champions, the leagues best Offence versus the leagues best Defence, the Students versus the Green Machine. Will the 2-time champion’s the Trojans defend their crown? Or will Trinity win their first Shamrock Bowl in the clubs history! It is going to be an exciting final! Kick-off: 3pm at Tallaght Stadium, Dublin on August 10th. Alternatively, tickets can be purchased from your local American Football club.